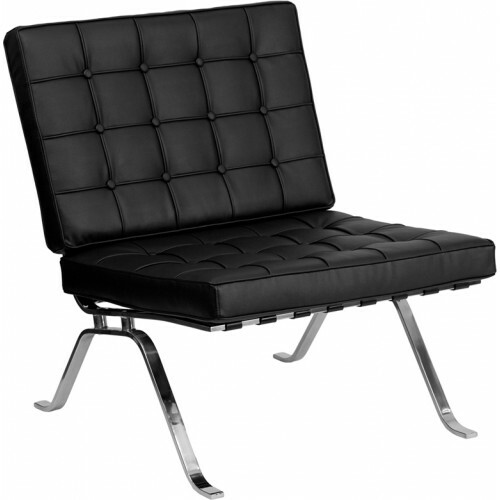 A vintage inspired design, the Ares leather lounge chair is perfect for any office reception or in your home office. The button tufted seat and back give it a stylish and professional look all while providing maximum comfort. The cushions are removable for easy cleaning, and come with a curved, polished stainless steel frame. The Ultra Plush Leather Executive is a contemporary leather ergonomic chair. A leather ergonomic cha..